During the past days, Venus has moved closer to the Sun in the sky. The distance is now about 35° and as it continues to diminish, Venus will approach the western horizon in the evening twilight and become more difficult to observe. At this moment, its crescent has already become quite narrow and, as seen from the Earth, only 20% of its disc is illuminated by sunlight. Venus is now 59 million km from the Earth. On May 21, just after noon, the young Moon will move in front of Venus' thin crescent and hide the planet from view for observers in a broad zone stretching from the Atlantic over Europe to central Asia (the zone of visibility will be found here). This event, which is known as a "Venus occultation" by astronomers, will last approximately 1 1/2 hours. The Moon and Venus will be only 25° away from the Sun in the bright sky, so observations will not be easy. Nevertheless, it is expected that interesting video sequences of the disapperance of Venus' crescent behind the dark limb of the Moon will be secured. See also VT 2004 Animation F. More information will be given at the VT-2004 website in due time. The VT-2004 programme reached one of its highlights so far during the past weekend: From May 7-9, about 40 amateur astronomers from most European countries met at the historical castle in Brandys nad Labem near Prague, Czech Republik. A main purpose of the meeting was to exchange information about the numerous activities now underway in many places all over Europe for the Venus Transit by amateur astronomers, to make the extensive resources of this public educational programme more accessible to them and at the same time to stimulate the very valuable contributions they can give to the programme. The site of the meeting had a special significance for the participants: the famous astronomer Tycho Brahe was here in 1599-1600. The importance of this symposium was impressively underlined during the opening ceremony which was attended by high-ranking officials, including Prof. Helena Illnerova, President of the Academy of Sciences of the Czech Republik, Ing. Jan Talir, representative of the ministry of Education of the Czech Republik, Ing. Josef Zieleniec, senator of the Czech Parliament, and Prof. Jan Palous, director of the Astronomical Institute of the Academy of Sciences of the Czech Republic. The fact that the international, EC-supported VT-2004 astronomy meeting was held just a few days after the accession of the Czech Republic to the European Union was seen as a strong symbol of a continuing, extremely welcome integration process. As the earlier preparatory VT-2004 meeetings with teachers, media representatives and National Node staff, also this one, with some of the most experienced and progressive amateur astronomers in Europe, proved very fruitful for all participants. A well organised programme included extensive coverage of the Venus Transit from the astronomical, historical and observational points of view, with background talks on extrasolar planets and an overview of the exploration of our solar system by European scientists. On the side of the amateurs it became apparent that an substantial number of related activities in all countries is in preparation, ranging from telescopic observing sessions in remote villages in Finland to an extensive public happening for thousands of visitors in the Norwegian capital. Extensive national networks of amateur associations are collaborating in France, Italy and elsewhere, and many groups of observers from Portugal to Bulgaria also plan to let the world participate in their programmes through live coverage broadcast over the internet. Advanced amateurs now possess equipment that rival that of some professional observatories. Many are superb, experienced observers and will be able to furnish extensive and detailed images in several optical filters, enhancing different phenomena on the Sun. Much useful advice was circulated at the meeting on the kind of information desired by amateur astronomers as well as their possibilities for interacting with the local public. The problem of attempting to do valid timings of the Venus contacts with the solar limb while handling a public show is not a trivial one, nor is obvious what to do in case of clouds moving in over a crowd of unhappy spectators! Most impressive and promising was the genuine cooperative spirit that quickly manifested itself across all boundaries of nationality and language and many new contacts will now help participants to better prepare for the upcoming event. 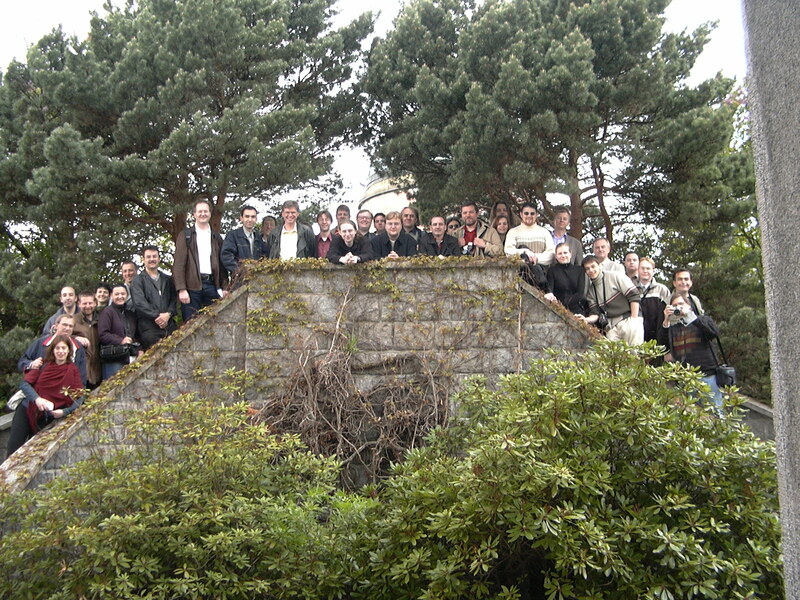 A delightful social programme included a visit to the house of the famous Czech astronomer Antonin Becvar, an inspiredly guided tour through the renaissance rooms of the Brandys Castle, as well as a very succesful visit to Ondrejov Observatory (see photo) - further contributing to the excellent atmosphere and highly conducive to personal contacts between the participants. Some of the presentations given at the Brandys meeting are now available on a dedicated page. A special easy-to-use Teachers' Guide ( Word, 160 k - PDF, 95k) has been prepared for busy teachers who would like to introduce their students to the Venus transit event but have little time to spare, both in preparation for this and in class. More information about the observation of the Venus Transit and how to participate in the VT-2004 Observing Campaign is now available via the "How to Observe" webpage. This includes hints for the timing of the four "contacts" when Venus' disc "touches" the solar limb. There is now also a detailed description of the use of the observations in order to determine the distance between the Earth and the Sun. The VT-2004 website now holds about 500 Mb of information in the form of texts, images and movies (animations). The number of visitors is rising rapidly; the largest number of sessions for one day so far was 7726 and 43 Gb of data was delivered in the month of April 2004. The VT-2004 International Steering Committee (ISC), meeting in Brandys right after the Amateur meeting, decided to hold the Final Event of the VT-2004 programme in the French capital, at the time of the European Science Week during the second week of November 2004. 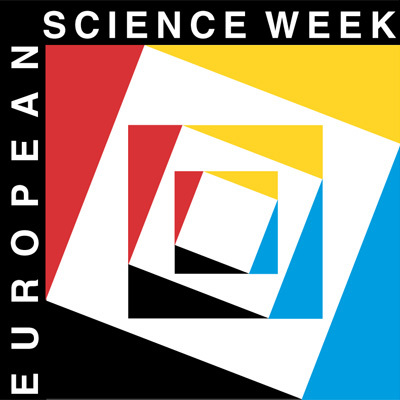 It will take the form of an interesting and vivid encounter between science and society, astronomy and culture, with the participation of (representatives of) the many partners of this broad public education programme. The winners of the VT-2004 Video Contest will be announced and will receive their prizes. A main goal will also be to evaluate the VT-2004 programme itself; being the first of its kind, much useful experience will have been gained by the involved partners - the discussion will serve to expose the "lessons learned" for the benefit of possible future projects of similar scope. The final report will be released towards the end of the year. As part of this report, a DVD will be made, assembling all the rich material (texts, images, video clips) produced during the year by the VT-2004 programme.